In the face of a changing climate and the pressing need for our society to make some drastic changes to the way we do things to meet out Zero Carbon commitments, Permaculture offers us an alternative path forward. For nearly 20 years, Ballarat Permaculture Guild have been promoting this vision through their workshops, courses and community activism. 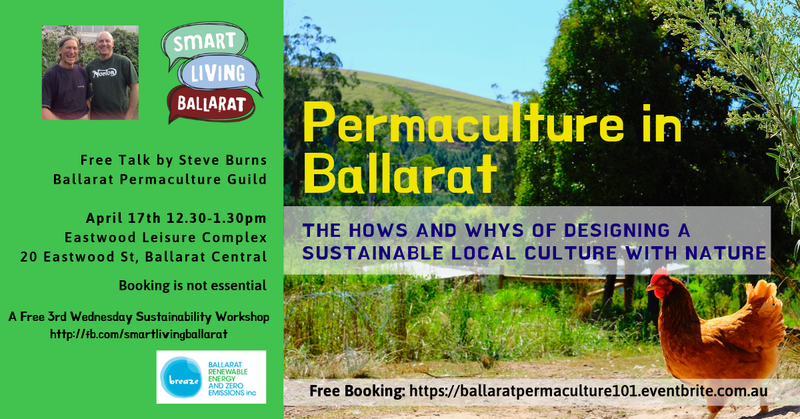 Founder, Steve Burns, will present an outline of the main principles of the permaculture in this workshop and focus on the past and present activities of the Ballarat Permaculture Guild in our region.